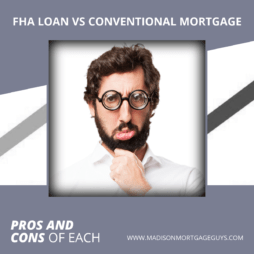 Unlike a conventional loan, an FHA mortgage is backed by the federal government. Simply stated, lenders have some protection offered by the government in the event the homeowners stop making payments. With this protection, FHA approved lenders are able to offer mortgages with enticing rates for people that might not qualify for a Fannie Mae or Freddie Mac home loan. 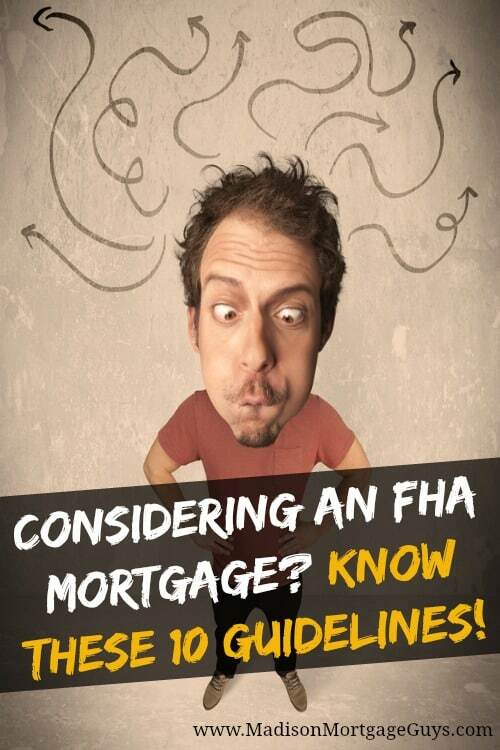 With that in mind, there are some specific FHA guidelines that must be followed. 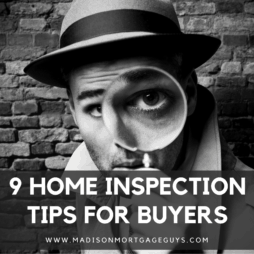 Prospective buyers need to keep these in mind when shopping for their home. FHA will put a cap on the highest loan allowed in each city and county across America. The majority of places have the same maximum loan amount of $271,050 for a single family home. However, there are many areas considered to be high-cost locations by FHA. These areas will have a higher limit. For example, Kenosha county in Wisconsin allows a maximum loan amount of $365,700 and Collier county in Florida has a maximum loan amount of $448,500. View current FHA Loan Limits. The buyer can pay more if they choose. 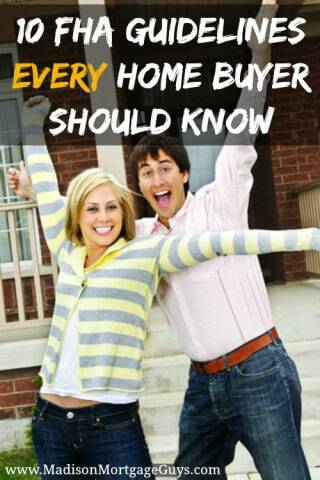 However, FHA is quite different from other types of mortgages in regards to the down payment. If the borrower can document that they have received part or all of the money as a gift from a relative or HUD approved down payment assistance, they will not be required to use their own funds for the transaction. This means that, in our example, if a young married couple had $2,500 of their own money saved for a home purchase and the father of the bride gave a gift of $7,500 to the couple as a wedding present, that money could be used as the down payment. A condo in an approved complex (specific rules are in place for a condo. Please consult with an experienced FHA lender prior to putting a contract on a condo) Additional FHA Condo Approval Requirements from Bill Gassett. Some people have used the FHA loan to buy a multi-unit property in order to start on their path to real estate investment. These people would live in one unit and rent out the remaining units in order to cover the mortgage. Some mortgages require that the borrower prove they have money for a rainy day. This money can come from checking & savings accounts, retirement accounts, stock and bond investments as well as certificate of deposits. As long as the money is relatively easily accessible, it is considered reserves. FHA does not require proof of reserves for people who wish to buy a single family home. In order for the government to provide the protection to lenders for potential losses, FHA charges Private Mortgage Insurance to the borrower. This is a fee that is paid in two manners. First, there is an upfront charge applied to the mortgage at the beginning of the loan. This charge is calculated as 1.75% of the amount of the mortgage. In almost every case, the upfront charge will be added to the loan so that the borrower does not have to pay the charge out of pocket. Secondly, there is a yearly premium paid based on the loan to value ratio, also called LTV. The following chart explains the two different mortgage insurance premiums. This amount is divided by 12 to allow the borrower to pay the premium over time. In this example, the monthly amount would be $178.67. Some lenders, specifically those that offer high interest rate loans to individuals with less than perfect credit, will charge a penalty if the loan is paid off early. In essence the lender is trying to insure that they make a significant profit on the loan. FHA does not charge any such penalty. If you are in the position to pay off your mortgage early you will simply pay the outstanding balance and the interest accrued for the month in which you pay the loan off. Earlier we mentioned that a person could buy a multi-unit property as a start to a real estate investment career. It is important to point out that FHA generally does not allow the same borrower to have more than one FHA loan. There are exceptions to this rule, including moving because of work or a new job, however, you will need to prove that the current home with an FHA loan is listed for sale. In order to protect the homeowner from getting in a financial mess, the FHA has rules concerning how much money can be used for the home payment as well as all of their debt. Keep in mind that FHA is no longer excluding deferred student loan payments from your debt to income ratios and a non-occupying co-borrower can be used to help with debt to income issues. There is some good news about the closing costs. If the seller agrees, it is possible for the seller to pay a maximum of 6% of the asking price towards the closing costs. Often times this 6% is enough to cover the majority of the costs. While most of this article has been devoted to loans used to purchase a home, that is not the only type of mortgage offered by FHA. People that currently have a FHA loan can apply for an FHA streamline refinance. This allows borrowers to get a lower interest rate without going through the full FHA loan approval process. Senior citizens who have substantial amounts of equity in their home can apply for a reverse mortgage. This money can be used to pay medical bills, other debts or in any other way that the homeowner sees fit. For people who have equity in their home and need to liquidate it, FHA offers a cash-out refinance loan. This loan will allow borrowers to get cash back and use the funds at their discretion. There is also the FHA 203K program. 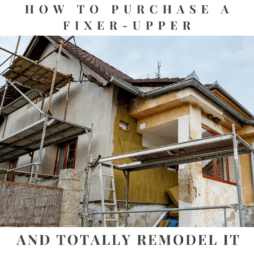 This program allows people to either (a) refinance their home and get extra money to make repairs or improvements to the home or (b) a person can buy a home and get money above the asking price to make repairs or improvements. The 203K loan is a great way for people to avoid getting a construction loan and take advantage of the FHA approval process for buying a home and customizing it to their taste. As you can see, FHA has extensive rules overseeing their lending process. Being familiar with these rules will make you more informed and aid you with your home buying or refinancing decision. Thanks for the in-depth information about the FHA loan process. You’re very welcome Gabe. 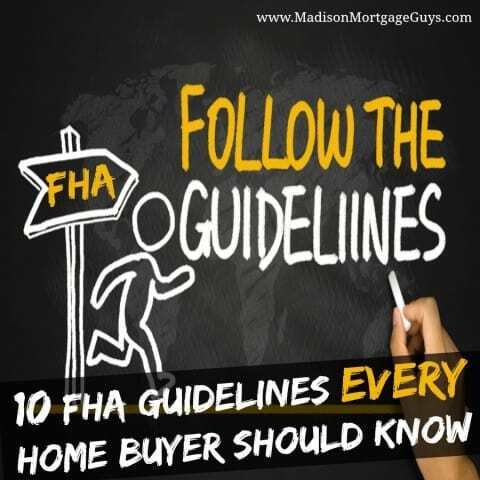 Thanks so much for checking out my FHA guidelines article!